Last Minute Bargain Break to Tuscany- save up to £270 per person! Based in the beautiful and historic city of Florence, this Tuscany wine tour allows you to stay in the birthplace of the Italian renaissance and discover the celebrated wines that makes Tuscany such a sought-after holiday destination amongst wine lovers. This tour includes one or two full days with an English-speaking driver/guide, a day of wine tasting in the world-renowned Chianti Classico region and a tutored tasting session of three wines with local breads and olive oils in the city centre. A gala dinner with wines will also be served in an intimate gastronomic restaurant in a unique dining location- the city’s oldest tower on the four day package.Special Offer at the luxury Hotel Brunelleschi. We are offering some great savings at this hotel! If you travel before the end of March, a discount of £180 per person is applicable on the three day package and a whopping £270 per person on the four day package! 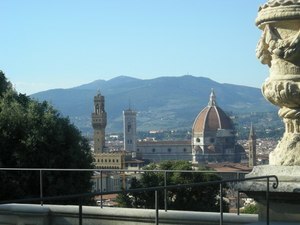 This discount represents a saving of over 30%!To read more about our Essential Florence Break and to take advantage of this special offer, visit our Essential Florence page, give us all call on +44 (0) 1763 273 373 or send us an e-mail at info@grapeescapes.net. The Premium Bordeaux tour, taking place from Tuesday 8th to Saturday 12th September is the ultimate once-in-a-lifetime trip for any Bordeaux wine lover! 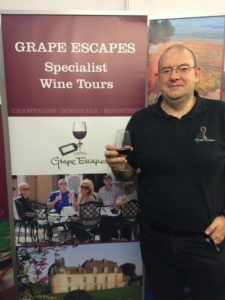 Across three full days of transported tours with a specialist guide, nine of the region’s top Châteaux (including five First Growth estates) will be visited and many of these estates are opening their doors exclusively for the Grape Escapes tour. You will see what goes on behind the scenes at each of these famous estates, allowing a unique insight into how some of the world’s best wines are made. 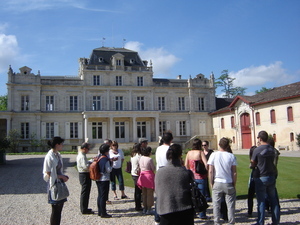 Examples of the magnificent estates that the tour will be visiting include Château Mouton-Rothschild, Château Haut-Brion, Château d’Yquem, Château Angelus, Château Pavie and Petit-Village. Places for this tour are limited and early booking is strongly recommended to avoid disappointment. Prices start at £964 per person and four nights’ accommodation is offered across a wide range of 3* to 5* hotels in the city centre. Also included in the price are all of the tours and tastings across three days with mouth-watering lunches on each of the tour days. To find out more about our Premium Bordeaux tour and to secure your places, visit our Premium Bordeaux page, give us all call on +44 (0) 1763 273 373 or send us an e-mail at info@grapeescapes.net.